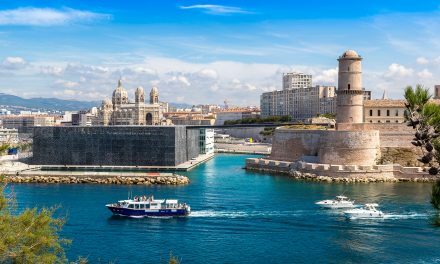 Ever since the ancient Greeks founded the city of Marseille in 600 BC, wine has been made in the Provence region. Viticulture and winemaking have evolved and developed by different groups that have been present in Provence which includes the Greeks, Romans, Catalans and Savoyards. They all contributed to a large variety of grapes in the region, which includes grapes coming from Greek and Roman origin as well as Italian, Spanish and French wine grapes. 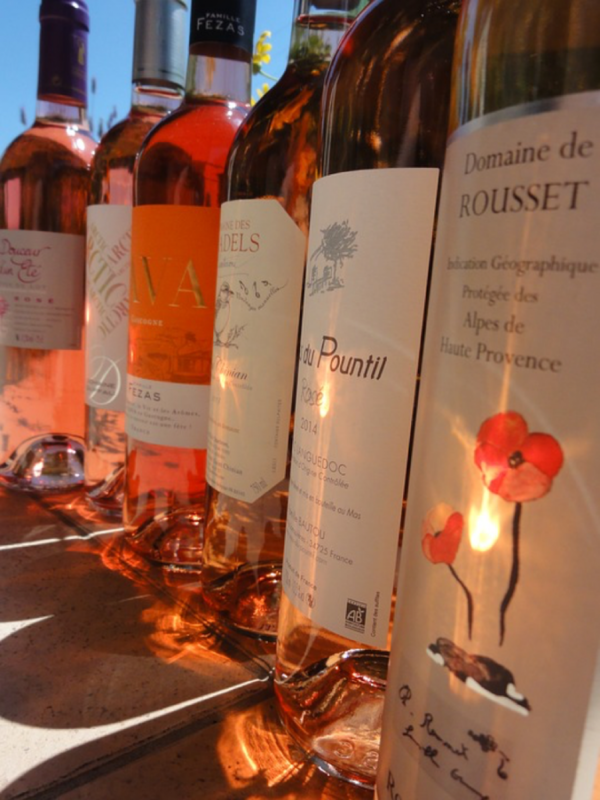 At present, Provence is known for its Rosé wine as well as some full-flavored red wines. The Côtes de Provence is the biggest Appellation d’Origine Contrôlée (AOC), followed by the Coteaux d’Aix-en-Provence. Bandol near Toulon is also considered one of the recognized Provençal wine regions famous worldwide. Other significant wine regions in Provence include: Les Baux-de-Provence, Coteaux Varois en Provence, Coteaux de Pierrevert, Cassis, Bellet and Palette. Sub-appellations include: Fréjus, La Londe, Pierrefeu and Montagne Sainte-Victoire regions. The region has several vin de pays designations, with Bouches-du-Rhône, near Aix-en-Provence, being one of the common designations seen internationally. In southeastern Provence, the Bellet AOC near Nice has an Italian influence with its famous white wine made from the Italian wine grape called Vermentino, also known as Rolle in France. 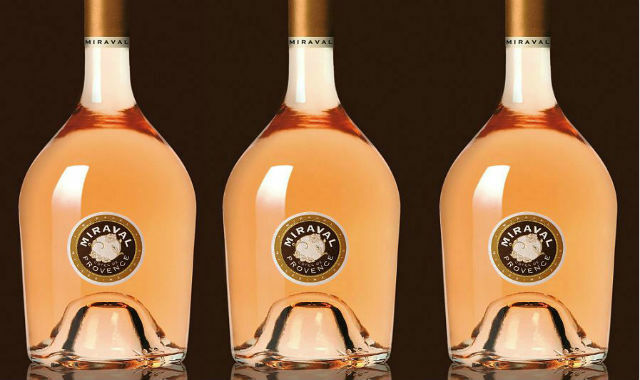 Though the white wines from the southeast part of Provence receive more attention abroad, Bellet produces equal amounts of white, red and rosé wine with the latter being consumed the most by tourists coming to the French Riviera. In the northeastern section of Provence, there is the Coteaux de Pierrevert AOC, a minor wine area situated around the village of Pierrevert. Its red, white and rosé wines are mainly made from Grenache, Syrah, Cinsaut, Clairette and Rolle. With a cooler climate in this area, the wines are lighter in body compared to other wines in the region. Located along the coast between Marseilles and Bandol, there is the Cassis AOC which is unique in the Provençal wine region, due to white wine comprising over 75% of its production. 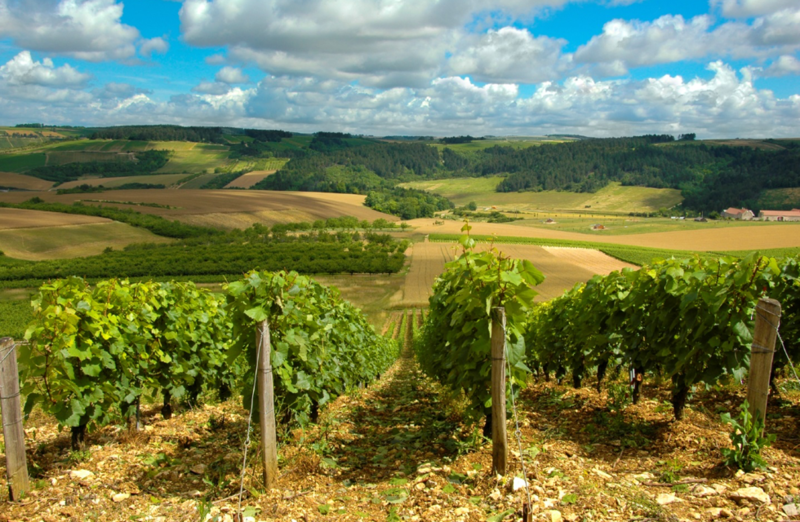 There is the cultivation of Clairette, Marsanne, Ugni Blanc and Sauvignon blanc grape varieties in the area. Local consumption has outnumbered supply and now there is limited amount of Cassis wine that can be exported. In the central region of Provence there is the Coteaux Varois AOC in the Var department from where the region’s name is derived, between the Côtes de Provence AOC and the Coteaux d’Aix-en-Provence AOC. 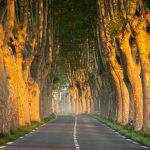 The region is sheltered by the surrounding Sainte-Baume mountains and is most-sought after by many property buyers looking for hobby wine estates with beautiful vineyard views. Over 60% of the region’s production is rosé with around 33% red wine and small amount of white wine. The grape varieties of the region are Grenache, Cabernet Sauvignon, Cinsaut, Mourvèdre, Syrah and Carignan. 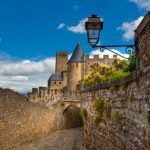 Now that you have an overview of some of the best wine growing areas in Provence, let’s explore some of the best vineyards and commercial/lifestyle estates surrounded with luscious grape vines producing some of the best rosés (as well as whites and reds) in France! Perched on the hills of La Colle-sur-Loup, this rare property of about 400 m2 was thoroughly renovated by the well-known architect Robert Dallas. The grounds of approximately 5680 m2 offer a splendid clear view on the countryside and the surrounding hillsides, as well as vines stocks which assure a small production of sparkling white wine. The property boasts a main villa as well as two guests’ villas: 8 bedrooms and beautiful reception areas with Provencal charm and upscale fittings. The lawns and plants are beautifully maintained, there is a superb swimming pool and plenty of terraces to relax and enjoy a glass of wine on, especially attractive is the covered summer kitchen area with its dining space. Accommodation is of a very high standard, the use of top of the range finishing and fittings, decor and style is evident throughout each property. Contact us for more details! Looking for a luxurious Provencal Bastide with a vineyard classed as AOC Côte de Provence? 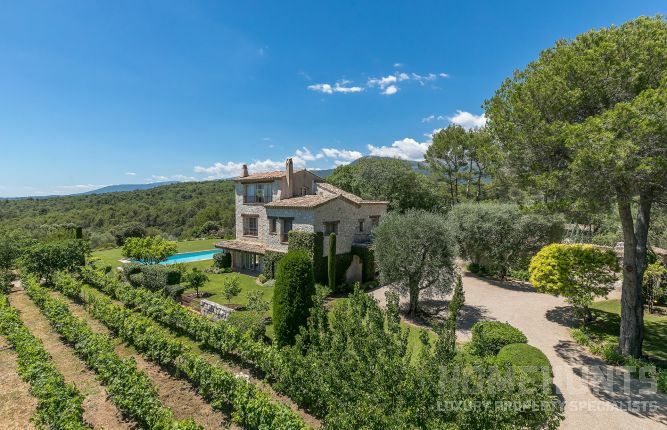 This glorious vineyard property is situated at the center of the Var, at the heart of the Côte de Provence appellation, in a classically Mediterranean setting of umbrella pines, vines and oleanders. 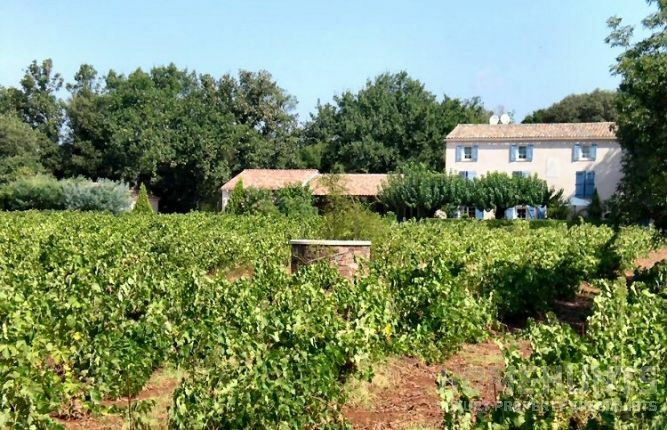 It is set on over 5 hectares (12 acres) of land where there is an established vineyard producing an excellent AOC Côte de Provence red and rosé wine! The vines are well kept and the varietals correspond to the appellation requirements (Grenache, Syrah, Mourvèdre and Ugni Blanc). The property is just one hour away from both Marseille and Nice international airports. 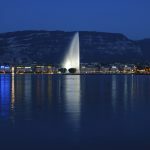 It is easily accessible being only a few minutes from a motorway exit. The property is approached over a gravel private driveway with automatic gates, through beautiful grounds fitted with an automatic watering system. It is beautifully presented throughout with spacious accommodation. 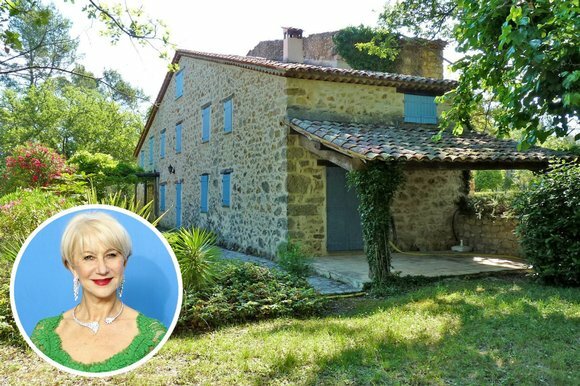 This splendid old Bastide has undergone an elegant restoration in recent years. Stylishly renovated with high quality materials, the house offers nearly 600 m2 of living space. The ground floor comprises a Provencal kitchen, several living rooms, offices and a spacious dining room with fireplace. The 1st and 2nd floors include 5 bedrooms, three of which comes with en-suite bathrooms. The house has been superbly finished to a very high standard, with terracotta tiling, under-floor heating, and air-conditioning in rooms which are all airy and well-lit. There is a delightful rose garden in front of the pool house offering around 200 m2 of living space, with vast bay windows, the pool house is a veritable Summer House, and has been renovated to the same standard as the Bastide. The unit is excellently maintained, featuring a magnificent summer dining area with summer kitchen overlooking the heated pool, a perfect setting for entertaining. The vineyard is managed by one of the foremost oenologues of the region. Farmed by contractors who also vinify the harvest, enabling the present owners to market a small range of rosé, white and red wine. Priced at 2,950,000 euros it is an exceptional vineyard property and business opportunity. This property is so unique, with a strategic location being 1.5 km from the village center and 3.5 km from the beach. 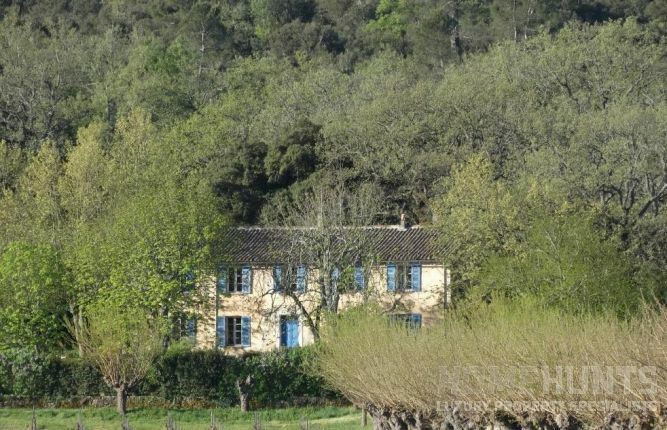 It is surrounded in a calm and natural setting, boasting an extraordinary flower garden throughout the year, vineyards AOC Bandol, roaming grounds for horses and a pond with water lilies filled with tadpoles in the spring. From one location, the sea view is breathtaking. The materials are of high quality. The tones are soft. A passion for work carried out is to a very high standard. On the ground floor of the main house, there is a beautiful living space with a welcoming fireplace in the lounge, a spacious kitchen, and a dining room, two charming bedrooms opening onto the terrace, a bathroom. Upstairs, a large mezzanine to relax opening on to the living room, a master suite with its own bathroom and terrace. The guest house, more recent, also offers great comfort. It consists of a large living room with kitchen, two bedrooms, a bathroom and a bathroom. 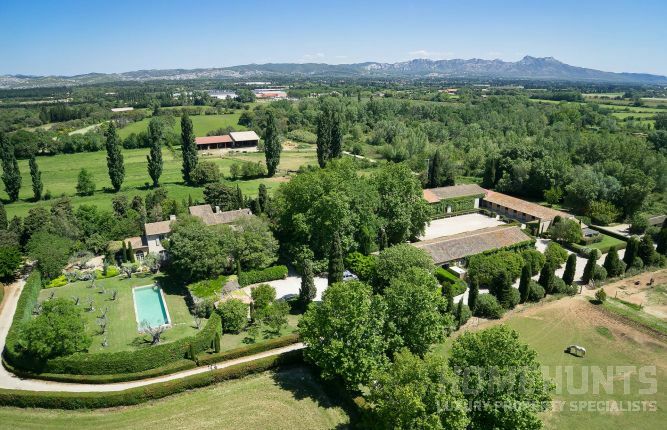 A possible expansion of 60 m2 can be undertaken after buying it for a good price of 1,780,000 euros! This exceptional property in the valley of Baux is only 10 minutes from Maussane les Alpilles, comprised of a main house, a guest house, two apartments with in total 800 m2 of habitable space. There are numerous outbuildings, equestrian equipment and also high quality terre (soil) earth worthy of AOC labeling. The price for this estate we can disclose upon demand. 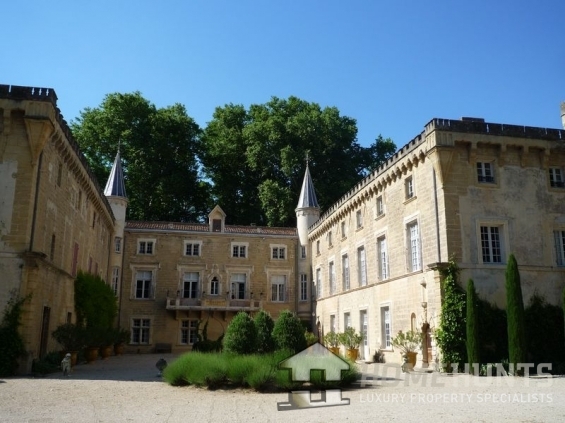 The vast estate in the heart of Saint Maximin La Saint Baume, has 85 contiguous hectares and was originally part of a substantial Roman Villa where wine was already being produced! The property was also once a silk farm dating from the end of the XVIIIth Century. Located in the hinterlands of the Var, the domain enjoys a particularly undisturbed bucolic setting. In a commanding position over the attractive gardens, the Bastide provides 260 m2 of living area. An east-facing terrace offers an idyllic setting for breakfast with the rising sun. The house itself is both light and spacious. 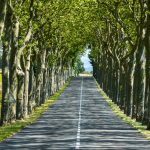 A Gite is made available for 6 to 8 guests whilst two separate houses provide staff accommodation. A 120 m2 barn has been renovated into a reception hall, catering for weddings and seminars. The 20-hectare vineyard is almost entirely classed in AOP Coteaux Varois en Provence. The limestone terroir is regarded as being highly conducive to quality, whilst the North/North-West aspect of the vineyard favors a gentler ripening of grapes. The vines are well-maintained and the grape varieties correspond to the requirements of the Appellation which includes the following: Cabernet Sauvignon (1,8), Syrah (6,4), Grenache Noir (5,0), Cinsault (2,8), Vermentino (1,4), Viognier (0,8), Semillon (0,9) and Ugni Blanc (1,0). Set apart from the domestic buildings, the winery is modern and highly functional. It has a global capacity of approximately 2000hl, with 1100hl of thermo-regulated stainless steel tanks, 200 hl of oak barrels and the remains in cement tanks! The winery is well equipped, with a pneumatic press, peristaltic pump and temperature control, allowing the production of a coherent range of rose, white and red wine. The annual production is around 750 hl, or 100,000 bottles and private clients are well received in an attractive tasting room/shop. 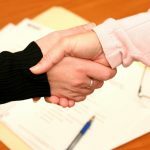 All of this at a price we can disclose upon demand. DID YOU KNOW: We have an exclusive Vineyard Buyer’s Guide offered to all for FREE! To get a copy, click on this link and subscribe so you can discover the 2 questions you must ask yourself before launching your search for a vineyard.